Focus: to learn how personal training packages are one of the most popular ways to present your services to your clients. In this lesson we'll teach you how personal training packages are one of the most popular ways to present your services to your clients. 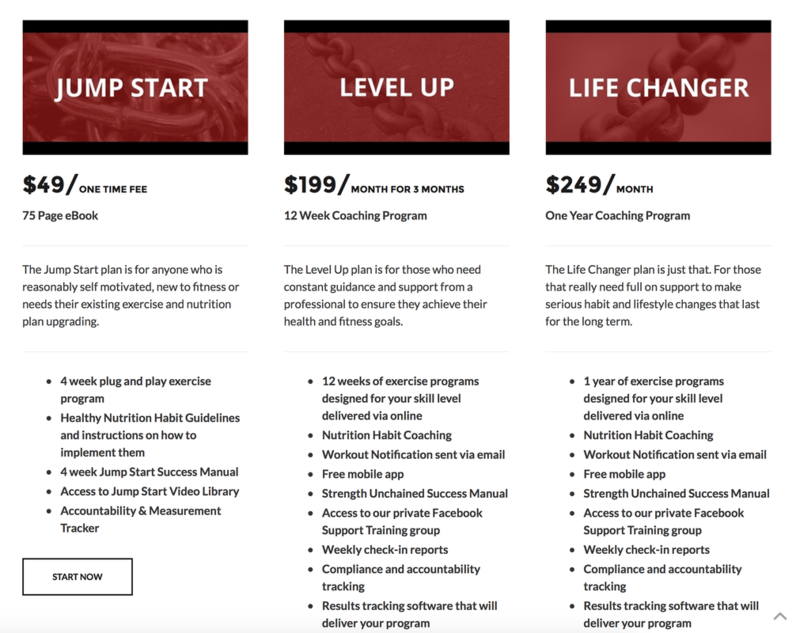 In this execution plan we talk about how to create personal training packages that sell. There are a number of common mistakes that PT's make when trying to sell their training packages, that are easy to avoid and will help boost your revenue. Personal training packages are one of the most popular ways to present your services to your clients. As I have been helping personal trainers with their pricing and packaging, I’ve seen a number of common mistakes over and over again that are easy to avoid and will help boost your sales. Before designing your fitness packages make sure you’ve worked out how much money you need to be making on average per hour worked. We’ll use this information when setting up your packages. So, why packages instead of blocks of sessions? It's all about psychology. To make a purchase decision, a client must be able to associate your services with the goal they are trying to achieve. If you sell 10 sessions for £400, the client then has to work out how 10 sessions will get the closer to their goal. This is time consuming so we create packages based on the results the client will achieve should they choose to work with you. "6 Weeks to Fat Loss"
They're both the same thing but the second option aligns the clients goals with what they are purchasing. Even if you said "12 sessions for £440 (Save £40)", 6 Weeks to Fat Loss is still more appealing because the client can easily see what they will achieve in a certain time frame. Step 1: How To Find What Your Clients Want? 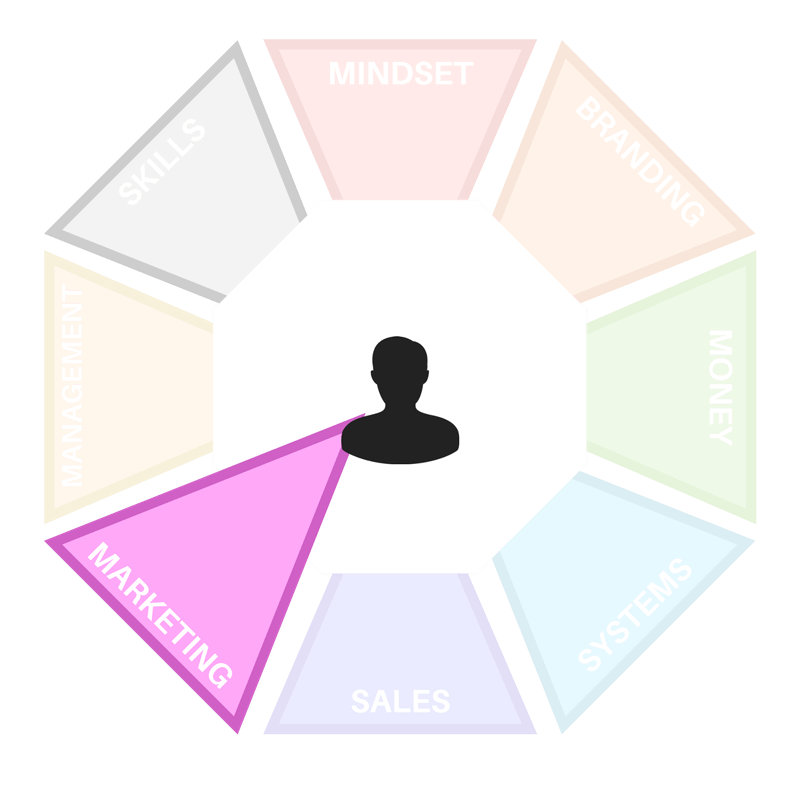 To find out what your clients want you do a few things. Some the steps you would already have covered in How To Find Your USP. Ask your existing clients - simply ask them what they would like in a fitness package and create that. Create a survey - use a survey on Facebook or on your website asking what "the top 5 features" are. When you have a list of features, you can use these to compliment your website copy. Step 2 - Understanding the "Why" Of You Clients Goals. "So what if I can train 3 times per week"
"So what if I get nutritional guidance"
Features don't mean anything to the reader. But the outcomes of those features do. Outcomes elicit an emotional response. Which sounds better? Train 3x per week in our private gym!" Our world class coaches will make you noticeably leaner and feeling more confident in just 4 weeks." Clear and simple pricing makes it easier for people to buy. If you have too much clutter this reduces your conversion rate. Cluttered pricing lists that are full of fluffy words and options that are repeated over and over again in all packages to make them look like there’s more value simply don't work unless you're selling software. ​Options that encourage the person to sign up straight away are best. The Fit For Life package is for busy working men who want join over 150 other busy men, increase muscle mass and feel more confident in 8 weeks. If you were a busy working man, which one would sound more appealing to you? This is where nailing your niche becomes important. People like choice. Offering multiple packages of varying value enables you to appeal to certain types of people with varying budgets. Their is a Psychology to buying. marketing machines at large brands know this and so should you. Value is relative, the highest priced package will make the other packages seem more reasonable. It’s called the anchoring effect. In general, very few people will ever buy the top package or the bottom package. Most people will pick one of the middle packages. Low end packages that require little work can appeal to people that couldn't necessarily afford your services but still love your work. High end packages are ultimate value the delivers a lot to the client and can cost you a lot of time. Make your top package at least double your middle package. The price of the high value package makes the price of your main package (the middle one) seem much lower than if there wasn't a higher value package to compare it to. But be sure to make sure you can deliver on your top end package. All the bells and whistles. Take the iPad for example. The 16GB iPad is $499, the 32GB is $599, and the 64GB is $699. You don’t want to buy the smallest one because it might not be enough space, so you start to look at the 32GB iPad. But then you see that you could get double the space for the same upgrade costs if you go to the higher one ($100 for 32GB instead of just 16GB). So there’s a strong temptation to go up even more because of the value. Step 5: How To Add Extra Value To Your Packages? Now you hopefully have 3 tiers of packages that appeal to certain types of people. It's time to add value to those packages. This is where a feature list can come in handy. A features list can help to distinguish between your packages and also help the reader to see how much more value your provide than your competitors. In the example above we can immediately see WHO the package is for and how each package differs from the other. The user can easily make a decision to work with this PT based on their budget. Remember when pricing your packages, working out your hourly rate first, will make sure you don't short change yourself. You want to give the client an offer for being loyal and signing up with you, but a big mistake people make is making up a figure without consulting their hourly rate. Simple put, your hourly rate is the rate that you want to command to sustain your living costs or build a nest egg or save for a holiday on-top of your everyday expenditure. Yes there might be an industry standard for hourly rates, but that doesn't matter a dime, if it is not how much you need and want to earn. 1. How much do you want to earn form being a PT? - You may have a goal to earn 50K a month from your PT business or you may be happy with 50k a year. You just need to know what your desired wage is to have a starting point. 2. How much do you need to earn? - You want to make sure your basic living costs are met. No point starting a business and having to struggle to make rent. 3. What are your overheads? - Do you have to pay for a venue? Insurance? equipment? Gas for the car? office supplies? Printing? These all add up and often get forgotten about. make a list and put a value next to each item you pay out for the business. 4. What are your business costs? Your business costs might be, initial investment in equipment, website development, yearly trade subscriptions, marketing and PR, hiring A VA for admin. Oh and lets not forget TAX. You can work out your hourly rate yourself or use an online detailed tool, to help you break it down quickly and easily for you. This tool, will also factor in savings towards pensions, medical insurance, holiday, sick days and tax deductions. So think about it. When putting together a package, it may take up more coaching time then the standard hourly sessions, you may have to put in more back-end work for designing bespoke features, learning guides, designing a personalized package,marketing stationary, printing costs, new venue location, so make sure you factor in all your added costs and add that to your hourly rate. Package prices aren't always about giving the client a discount, you should see them as adding more value through value added features that the client can benefit from the training. So when selling packages, consider the following as you build your packs. 1. What do you clients want? 3. What is my hourly rate? 4. How can I add value to my training packages? 5. What features will I include in each training package?